Technology. Still, the smallish population here allows for a truly beautiful landscape to shine through during the summers, making this city an absolute wash with flowers and foliage at every corner during the somewhat brief warmer months. Visitors are free to explore such attractions as the Nidaros Cathedra and the historic fortress island of Munkholmen. Trondheim has a very well maintained and picturesque ancient infrastructure, evidence of this prominent location's past distinction as one of the most important and prosperous medieval centers in all of Europe. Modern Trondheim complements it's vibrant historic remnants with a similarly extensive list of modern attractions, of which the nightlife is always particularly lively. Also, consider buying a one way train ticket or two to Hell Station while here; a perfect gift for your most beloved English speaking friends and relatives. Must see in the winter and in the summer. This city is a amazing to see covered in white snow or in lush green plant life. During the warm season I stumbled across achaeological digs. Trondheim is one of my favorite towns in the world.It has a very nice atmosphere with lots of things to do and see both in the town itself and in the immediate environment. Trondheim encapsulates everything I love about Europe in a Norwegian town. There's beautiful architecture and an attention to aesthetic apparent throughout. There's modern artistic additions next to centuries-old buildings. Trondheim is a must-see for anyone visiting Norway! Founded in 997, Trondheim is one of the oldest cities in Scandinavia. With a total population of 180,000, including 30,000 students, Trondheim is big enough to offer an array of culture and entertainment, without the hassle of a big city. The city is home to Europe's most northernmost cathedral, an old fortress, and some colorful architecture. Trondheim is beautifully situated in Fjord of the same name. 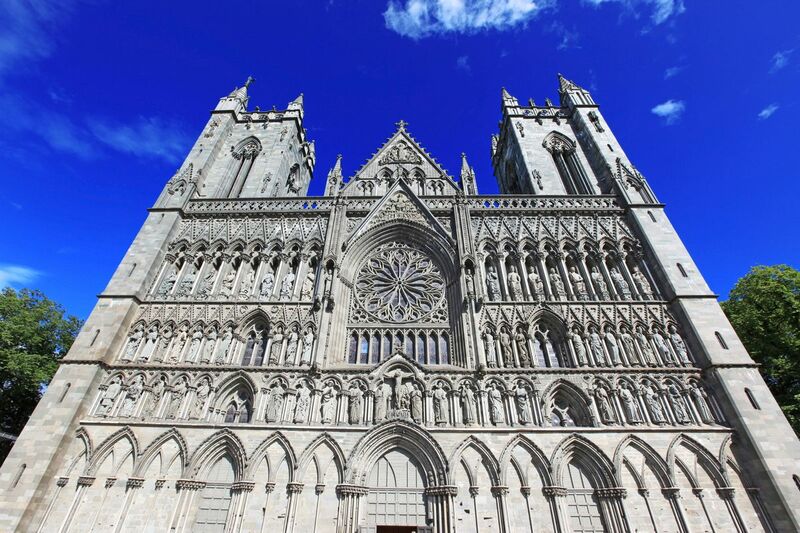 You'll need a full day to explore the sites in Trondheim and additional time to explore the surrounding area. Despite it's northerly location, temperatures are not as low as you might think. The Gulf Stream keeps it at about freezing throughout the winter. This picture was taken from the docks again very beautiful scenery.. A very cold place.